I’ve gotta admit, I was worried. When Seventeen started teasing “Home” as a mixture of “future” r&b (why is everything labeled “future” so hopelessly dull?) and more traditional balladry, I prepared myself for the worst. You all know how tired I am of pop music’s ever-increasing love affair with downbeat pace and moody atmosphere. Add to that the fact that Seventeen haven’t given us a big uptempo funk-pop Korean title track since 2017’s “Clap“, and I was about ready to flip a table. And indeed, the restrained structure of “Home” makes many choices that I’d usually hate, but damn if the guys don’t pull it off. The opening marimba-like synths seem to foreshadow an eye-rolling beat drop, but turn out to be a red herring of sorts. They quickly fade into the background as the first verse quietly creeps in. A delicate — but super effective — melody takes prominence, soon blooming into a gorgeous pre-chorus reminiscent of their 2017 hit “Don’t Wanna Cry“. This extended build seems destined to end in a big beat drop, but Seventeen yank the rug from under us and offer a striking palette of empty space instead. In most cases, this anti-drop approach would leave me cold, but it’s pulled off with such flair here. And, it never outstays its welcome, as the hook quickly regains fullness with a rousing repetition of its titular refrain. Like December’s “Getting Closer‘, the most valuable asset is the compelling percussion. Songs like this can easily drag, but “Home” retains interest from its ever-shifting tempo and dynamics. Rather than throw one or two jarring trap breakdowns into an otherwise fine instrumental, “Home” builds its whole existence from a sense of unease. This gives it surprising power, despite being one of the group’s most subdued title tracks. 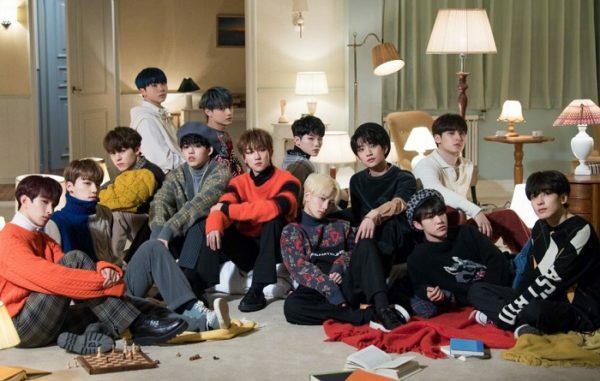 It may not be the big, bombastic dance anthem I continue to hope for, but if this is Seventeen’s version of a typical winter single, I’ll gladly take it.